Years of moving experience has made Moving & Storage the preferred commercial moving company of thousands of satisfied customers. By asking for, and then listening to our customer's feedback we have been able to sustain a unique commercial moving service, breaking the mold of cookie-cutter San Diego commercial moving companies. Our San Diego commercial movers tailor your relocation service to suite your particular needs, providing the perfect moving and storage solution for your needs. Kind and courteous service precede us and we welcome you to experience the joy of moving with San Diego Moving & Storage. To better serve our customers, we offer an array of commercial moving services for you to choose from. Whether you need local moving in San Diego or long distance moving from San Diego to any location, our San Diego Office & Modular Design Movers are ready and happy to assist. To further alleviate the stress of moving in San Diego, we offer state-of-the-art storage facilities that are conveniently located throughout California. At San Diego Office & Modular Design we take pride in offering quality commercial moving service. As certified commercial moving experts, we handle your items with the care and sensibility you expect. Trained in the latest and most efficient commercial moving techniques, there isn't a relocation we cannot handle. With expert San Diego Office & Modular Design Movers readily available, your move with our commercial moving company will be swift and handled with proficiency. All of our commercial movers are presentable and uniformed, so you can identify an authentic San Diego Office & Modular Design Movers when you see one. 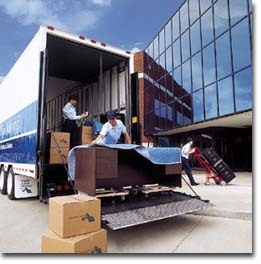 Our San Diego commercial movers are prescreened before hire to ensure quality service throughout your relocation. Remember, when a San Diego Office & Modular Design truck comes to your office, it comes in the most trusted name among San Diego commercial movers.